If you are a homeowner or small business owner in Coral Gables, the last thing you want to think about is costly damages due to a broken septic tank. While a backed-up system may be a worst-case scenario, that doesn’t mean that you should neglect your septic system. Luckily, Coker Septic offers a variety of septic services to the Coral Gables area, ensuring that your system functions properly for years to come. Interested in learning more? Contact Coker Septic today! Check Out Our Extensive Septic Services! 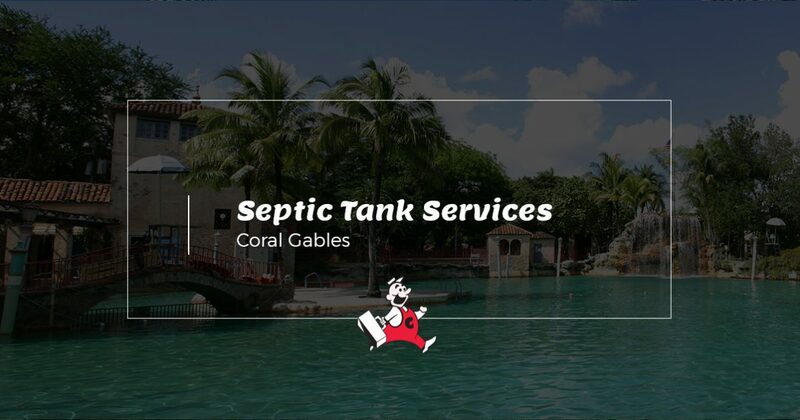 Our septic tank services provide peace of mind to both homeowners and small businesses in Coral Gables, so if you want to avoid a problem with your septic system, give us a call to schedule your next appointment. As much as you don’t want to think about your septic system, there are many benefits to a system that functions properly. For example, if you schedule routine maintenance throughout the year, you will be able to provide a service record should you ever decide to sell your house, which can save you money on an inspection. On the other hand, if you own a small business, you can rest assured knowing that your septic system is running properly, giving yourself the ability to focus on other aspects of your company. Nothing is worse than having to close your business because of a sewer leak or a flooded parking lot. With Coker Septic, we can help keep everything running according to plan. If you are interested in scheduling an inspection or routine maintenance for your Coral Gables home or business, contact Coker Septic at 305-403-9738.